AoteWell are a brand industry Automation, Factory Automation agents and Process control instrumentation distributors , we represent the following brands, We help large projects to reduce costs and speed up delivery , engineering solutions, If you are brand industry automation in your local dealer for the following , you can contact us. We are a wholesaler, We sell a large number of products in the global, PLC, DCS, HMI, CNC, POWER, SCADA, SOFTWARE, DRIVE, INVERTER, RTU integrated control S, CADA automation software , information technology , human-machine interfaces, industrial Ethernet , fieldbus , wireless communications , low frequency , high voltage inverter , motion control, mechanical transmission , electrical , robotics, machine vision , sensors , field instrument display control instruments , analysis and testing instruments, actuators , industrial safety, low voltage electrical appliances , electrical connection enclosure , power supply. Yokogawa Pressures : EJA110A, EJA120, EJA210 EJA220, EJA310 EJA530 EJA550, EJX Series. World’s leading brand products: SIEMENS, ROCKWELL, ALLEN-BRADLEY, ABB, DANFOSS, SCHNEIDER, MITSUBISHI, OMRON, PEPPERL+FUCHS, HONEYWELL, PROSOFT, PHONEIX, YOKOGAWA, EMERSON, ROSEMOUNT, ENDRESS+HAUSER, AUTONICS, BALDOR, BALLUFF, FUJI, MODICON, MOELLER, SQUARE D, MERLIN GERIN, SICK, TURCK , KROHNE, VIEKLE… BRAND SUPPLY. Our sales market concentrated in the following: Machine tools, textile machinery , packaging machinery , printing machinery , plastic machinery, rubber machinery , tobacco machinery , lifting machinery, construction machinery , logistics, warehousing, elevators, electronic manufacturing, wind power , solar energy, electricity petrochemical, building materials , paper , mining, water industry , metallurgy , automobile , railway, track , buildings, security.. Important note: All brands are registered person all rights reserved! Do you want to find more Brands item? 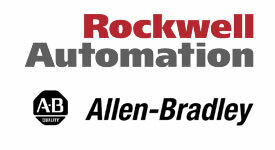 We are a Process control and automation systems reseller, all our products are from the original manufacturer! Contact us to get a better solution , we will help you reduce investment costs! !